Same can be said for the Pause and Break keys, but however it pauses the BIOS POST output on many computers, so it's a useful key (some older games also use it to pause the game). The Scroll Lock key doesn't do anything: it doesn't even lock scrolling as its name suggests. I can understand that some older keyboards have this key, but not the newer ones such as the keyboards bundled with many OEM computers these days; it's not like any newer computer is likely to run an older operating system such as Windows 9x. Games that use the Scroll Lock key may not even be compatible with newer operating systems. Is there a historical reason for this or are keyboard designers just plain lazy to get rid of this useless key? There are a zillion bits of legacy code out there many of which have appropriated the "junk" keys for application purposes. You've not seen many of them because they are internal, mission-critical programs for which the cost of re-writing and re-training are huge. To the best of my knowledge you can still put a floppy into a modern windows machine, run the 1985 version of Lotus 1-2-3 and it will work. Microsoft's most valuable feature is backward compatibility. Usually, when a cell is selected in Microsoft Excel and you press the arrow keys, the selection moves between individual cells. However, if you press the arrow keys when Scroll Lock is on, you scroll one row or column at a time. Scroll Lock is a toggling lock key on the keyboard, just like the Caps Lock key. Once pressed, Scroll Lock is enabled. To use the arrow keys to move between cells, you must turn Scroll Lock off. Today, this particular use of Scroll Lock is rare. Modern programs honoring this behavior include IBM Lotus Notes, Forté Agent, Image-Line FL Studio, Renoise, Microsoft Excel, and on occasions Microsoft Word. Some text editors (such as Notepad++, Microsoft Visual Studio) exhibit similar behavior when the arrow keys are used with a Ctrl depressed. My own Google searches are fruitless trying to find an explanation of what "on occasions" means. The Wikipedia article also shows this question is not new. It quotes from the 1983 January edition of PC Magazine. Oh, yes. About the "Scroll Lock" key on the IBM PC keyboard: Used with the Ctrl key, it is modified to server as a break when using a BASIC program. But by itself, IBM's "Guide to Operations" will only say it is an "inactive key." The Scroll Lock key was meant to lock all scrolling techniques, and is a remnant from the original IBM PC keyboard, though it is not used by most modern-day software. In the original design, Scroll Lock was intended to modify the behavior of the arrow keys. When the Scroll Lock mode was on, the arrow keys would scroll the contents of a text window instead of moving the cursor. In this usage, Scroll Lock is a toggling lock key like Num Lock or Caps Lock, which have a state that persists after the key is released. Only a few modern programs still honor this behavior, such as Lotus Notes, Forté Agent, FL Studio, and Microsoft Excel. IBM PC documentation called Scroll Lock an "inactive key". When PC Magazine asked an executive of keyboard manufacturer Key Tronic about the key's purpose, he replied "I don't know, but we put it on ours, too"
The fact that you have a key that is unused in any modern application (Excel excluded) and has a dedicated hardware indicator light, it is perfect for use with something like Autohotkey. Personally, I have extended the Greek alphabet option further so that I can use Scroll Lock to give me a series of mathematical and engineering symbols as well, using the number and symbol keys. And, because it all relies on the state of the Scroll Lock key, I can make use of every other modifier key too - with combinations of Shift (already used), Ctrl, Alt, the Windows key, that gives me maybe 16 layers? (Maybe more with AltGr). Something on the order of a thousand possible characters,* all without worry of conflicting with another app's shortcut keys? That's any and every symbol you want, and/or a bunch of other languages, all easily switchable (and with a convenient light to tell you if you're in "special characters" or "normal characters" mode). Computer companies (Microsoft in particular) strive to be backward compatible. In addition to there being some software that still uses scroll lock (Excel has been mentioned in other responses), there is hardware that depends on scroll lock too. For example, many KVM switches use it as a hot key to switch to another machine. In addition to legacy applications, some more recent applications use this key as a key that is unlikely to conflict with other applications. For instance, the XFire social gaming program has a chat overlay that be shown during full screen games. Games tend to have a lot of special key bindings, so XFire chose to use Scroll Lock + X as the hotkey to load the chat overlay because it was unlikely to conflict with other key bindings. While this is not a reason for keyboard manufacturers to continue including a Scroll Lock key, it shows that some developers still find use for it. Pressing the Scroll Lock key in the Linux console while text is scrolling through the screen freezes the console output (but not input) during which no further text is printed on the screen, but the program keeps on running as usual. When Scroll Lock is pressed again the screen is unfrozen and all text generated during the freeze is printed at once. This allows the user to pause the display and read long messages that scroll through the screen too quickly to read, for example when the system is booting up. Scroll lock is still commonly used with KVM switches. It's a handy key to switch between devices. I've used PCs since the 1990's and never used the Scroll Lock key. I didn't know what it was for. Until the mild trouble in my right shoulder and neck, from 20 years of mousing, became so bad I had to get relief. 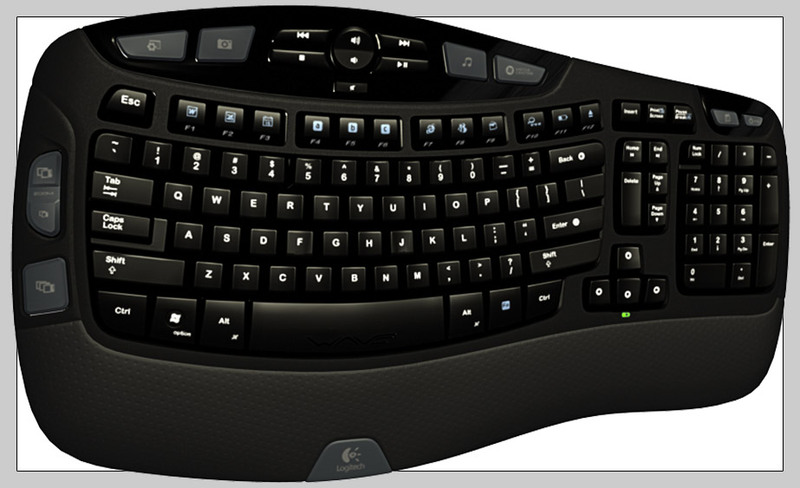 I ended up with a keyboard that has a touch pad. The touch pad has a scroll bar on the right side that attempts to take the place of the wheel. When I try to use the scroll on the touch pad, I get a sharp pain in the right side of my back. There are many people like me who consider the scroll lock to be very useful. Why is the “Print Screen”-button on keyboards actually named “Print Screen”? Why Greek letter mu (μ) on European keyboards?